This book presents recent advances in image sensing and processing systems, image recognition, 3D imaging and processing, ultrafast optical networks for image communication, and multidimensional information security systems. Eleven chapters by international experts provide practical and theoretical insights. 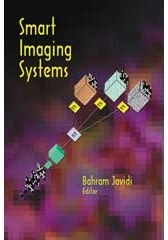 Useful for students, researchers, and technology users in IT, image processing, and optics. Nasser Towghi, Luting Pan, Bahram Javidi. Michele Banish, Heggere Ranganath, James C. Kirsch, Brian K. Jones. Some of the most important applications of optics, optoelectronics, and computers are in image sensing, communications, and processing systems. In the past, most applications of high-speed image processing systems have been for military hardware because of high cost and performance demands. With recent advances in optoelectronic devices, optical components, and computers, imaging systems have become available for many commercial applications. However, progress is needed in the development of smart imaging devices and systems that integrate sensing, storage, and algorithms to provide new capabilities-including high-speed accurate decision making, large-volume image handling, compactness, and low power consumption. This book presents important recent advances in image sensing and processing systems, image recognition, 3D imaging and processing systems, ultrafast optical networks for image communications, and multidimensional information security systems. The material is intended for students in information technologies, image processing and optics, as well as workers, researchers, and administrators in the field; it assumes some elementary background in signal processing and optical systems. The book includes contributions from some of the leading researchers in the field and provides both theoretical and practical information on the advances in the field. It covers image processing and recognition algorithms as well as some hardware such as 3D sensors and systems, optical storage, and ultrafast optical networks. A bibliography for each topic is also included to aid the reader. It is a practical book, in that the systems and algorithms presented have good commercial potential and can be implemented with commercially available devices, components, and processors. I would like to thank the contributors, all of whom I have known for many years and are my friends, for their fine contributions and hard work. I also thank Ms. Sharon Streams, the editor at SPIE Press for her help and advice. We hope that this book will be useful as a tool to further appreciate and understand a very important field.